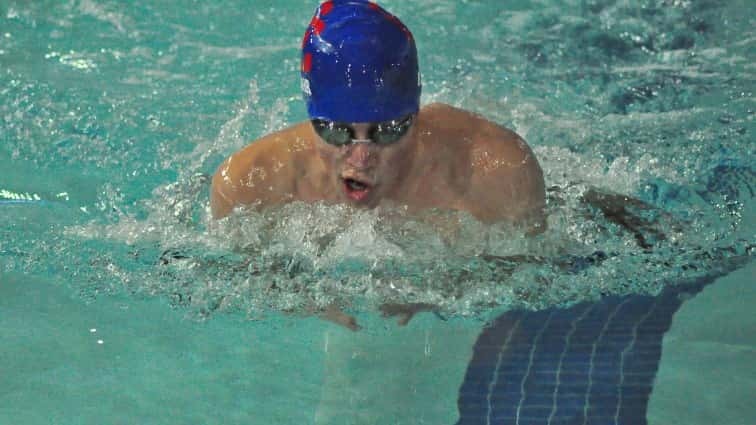 Christian County sophomore Dalton Bahr brought home a pair of top five finishes Saturday at the Region I Swim Meet in Paducah. Bahr finished fourth in the 100-yard breaststroke in a time of 1:09.24, knocking over a second off his preliminary time. He finished fifth in the 100-yard free with a time three-quarters of a second faster than the preliminary time the previous day. Bahr was able to give Christian County a 10th place finish based on his points alone. He, along with his sister Sadie Bahr and Reese Dexter, represented Christian County in the pool at the region meet.